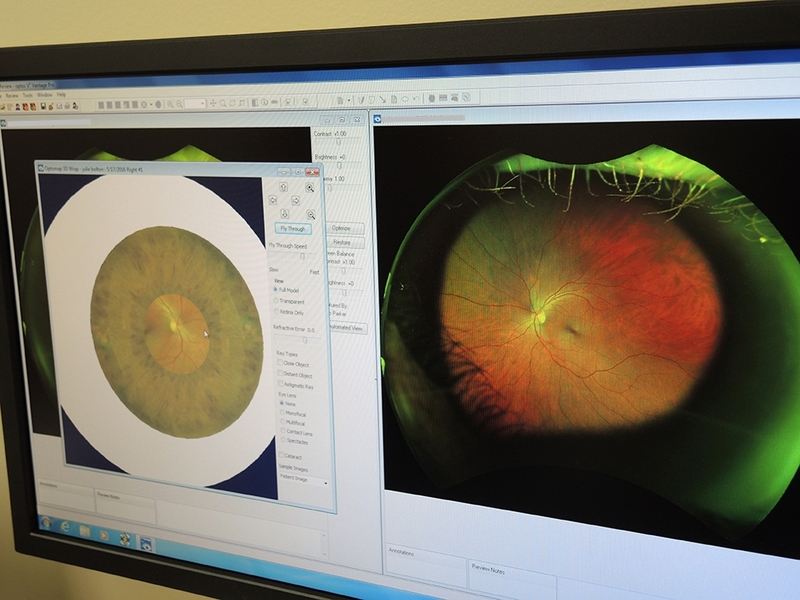 Optomap Retinal Imaging comes to Montgomery Vision Care! 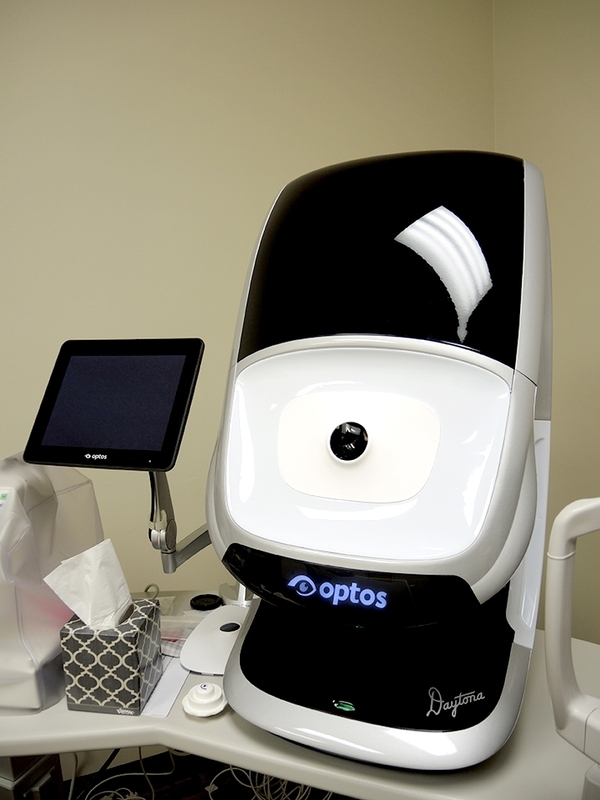 We’re so excited to offer the latest and greatest technology in Eye Health diagnostics, Optomap Retinal Imaging! This is a great option for those patients who do not want to have their eyes dilated but still want a complete exam. *In some cases, Dr. Fiorenza will dilate the eye in addition to the Optomap Retinal Imaging if she feels there is a need for additional diagnostic information. The procedure is fast, easy and painless! The camera takes a snapshot of the inside of the eye, and you will be able to see what your retina looks like and Dr. Fiorenza can review her findings with you. Early detection of eye diseases is vital to your health, and the retina is the only area of the body where blood vessels can be seen directly. This means that in addition to eye conditions signs of other diseases such as hypertension, stroke, heart disease and diabetes can be detected. Diabetic Retinopathy occurs when diabetes damages the tiny blood vessels inside the retina. Age-Related Macular Degeneration (ARMD) The center of the retina, the macula, can become diseased as we age. Glaucoma (Increased Eye Pressure) Glaucoma causes damage to the optic nerve and almost always develops without symptoms. It is one of the leading causes of blindness. Hypertension (High Blood Pressure) Increased pressure can result in changes to blood vessels in the eye, increasing the risk of cardiovascular disease- stroke or heart disease. Optomap Retinal Imaging is only $35! 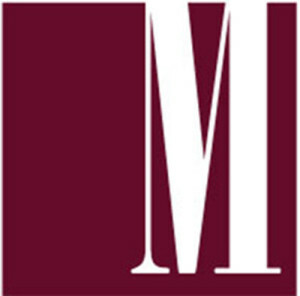 Not yet covered by insurance plans, the retinal imaging has been made very affordable at Montgomery Vision Care at $35. Be sure to ask for the Optomap Retinal Scan for you and your entire family when you make an appointment.